Twitter cards were launched way back in 2012, but uptake of this feature has only really taken off since the start of this year. When accompanied by Twitter’s own analytics and advertising services, they can be a powerful tool in raising awareness of a brand or product. The greatest advantage they offer is the direct opportunity to drive sales, and this is where they can become a key communications tool. They are designed to help you get more from your rather limiting 140 characters and increase traffic to a website or app. 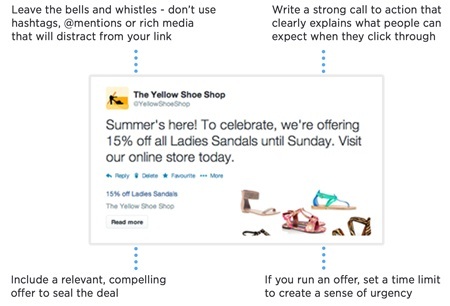 Twitter cards make it possible to attach what they call ‘media experiences’ to a tweet that directly links to content. Comprised of the general tweet text, imagery and a link, it is very easy for a Twitter card to become lost amongst the thousands of other updates floating around in the Twittersphere, so how do you make yours stand out? Twitter provides multiple card options to suit a range of needs; from photo- or video-led cards to product- and app-focused versions.